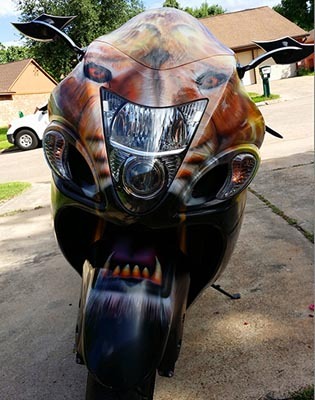 Custom painted motorcycles. 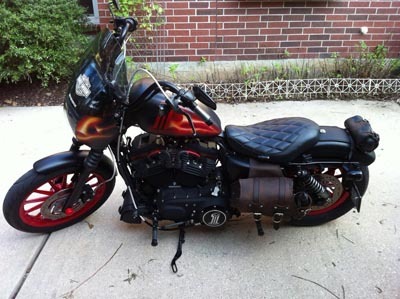 Bring your bike to us to get that custom paint job you want. 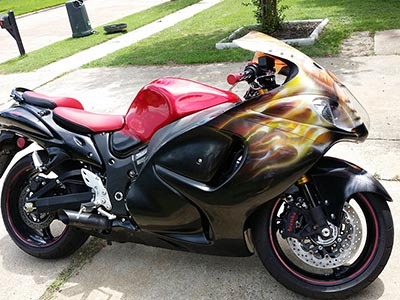 You got a motorcycle to stand out, so why are you riding with that factory paint job. Get the custom paint that fits your style. 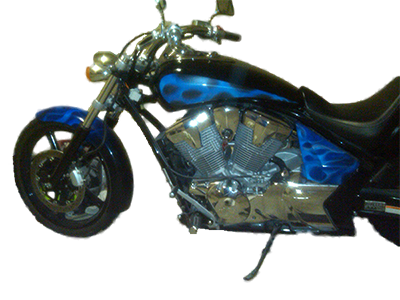 We paint Harley, Honda, Yamaha, Suzuki, Kawasaki or any other brand. Tins fendors, fairings, plastics, tanks it doesn't matter. Get them to us so we can get started today. 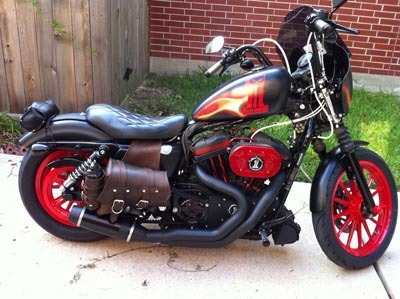 Recently finished harley tank and fairing. 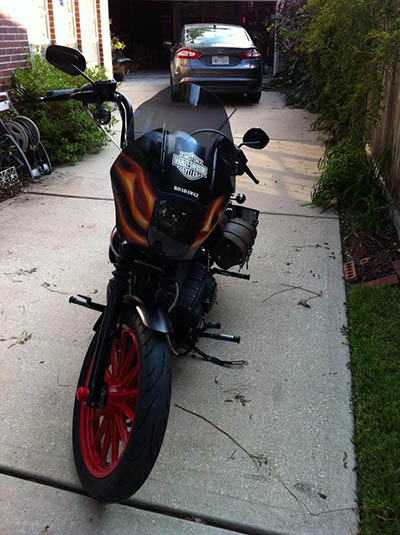 Bike done in matte black with true flames of red, orange and yellow. Punisher 1 harley custom logo in place. 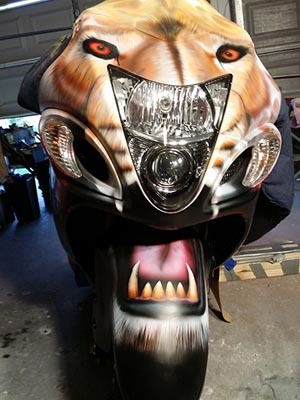 Lion head busa custom paint finished and ready for pickup by customer.